Here the civilised and not so civilised nations engage in diplomatic rhetoric. The Dominion of Canda calls upon the nations of the world to condemn US actions. The USA has either neglected the actions of Irish terrorist among its population or it has willining aided them. Either way we must raise our voice in the loudest of protests. American actions are leading us back to the dangerous days of border disputes and open warfare. As a show of good faith we ask America to arrest members of the Irish terrorist organizations that carried out these attacks on Fair canada. The United States has not aided any such groups and is currently in talks with Great Britain and we had hoped Canada to begin joint efforts to eliminate and bring to justice these criminals. If the Canadian government wants them brought to justice we fully agree. We will support no such actions as described against canadian soil. However we ask politely that the Canadian government pull it's troops back from the boarder. 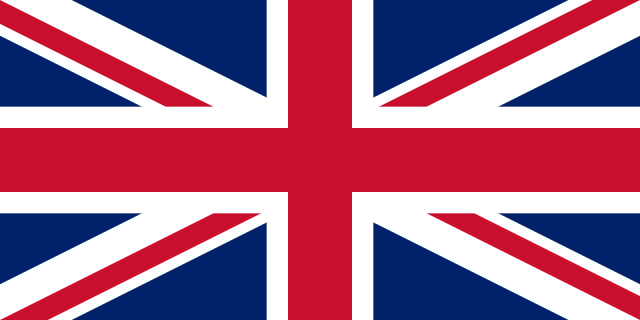 The United Kingdom calls for calm and co-operation between the United States of America and the Confederation of Canada. Both grievances have some merit, for it is right that a border that has for over eighty years been demilitarised according to the Rush-Bagot Treaty between the United States, Great Britain and Canada. We re-affirm our commitment to the peaceful boundary, as also confirmed in the 1871 Treaty of Washington. Let us not allow these anarchist terrorists, who falsely claim to represent the people of Ireland, to get precisely what it is that they desire - which is mistrust and tension between the nations of the British Empire and the United States. We are bound by blood, thicker than water, and there is a great deal more that brings us together than which divides us. Let us not forget that in recent memory, when the American Commodore Dewey's fleet sailed out of Hong Kong's harbor for Manila, the British soldiers and sailors in the harbor unabashedly cheered for them. The following events in Spain had soured the note, perhaps, but we acknowledge that the United States did the right thing and peacefully withdrew from involvement in Europe. And regardless of this - which has now passed us by and is a non-issue - Britain looks to the United States as a peaceful partner in North America. That all signatory parties publicly condemn the actions of these 'Fenian' anarchists and a rejection of their goals and methods. That Canada and the United States both pull back any troops from the border and cease military patrols there, in accordance with the Rush-Bagot Treaty of 1818. The Canadian militia, in particular, will instead be deployed directly, in a defensive role, in Canadian towns and villages to provide security against these terrorist attacks for their duration, to reassure the Canadian people and the people of the United States. That joint border patrols be established between US Federal Marshals and the North-West Mounted Police, to replace any military presence and to hunt down and capture these terrorists. Both organisations, in a joint investigation, will fully co-operate with local law enforcement on both sides of the border in investigating these terrorists together to bring them to justice. If, somehow, these terrorists are significant enough in number that they cannot be dealt with by law enforcement alone, the military operation to bring them to justice will be joint between the Canadian Permanent Militia and the US Army or state National Guard. The territory upon which the crime occurs shall determine jurisdiction. Any arrested terrorist who is found to have crossed the Canadian border to carry out attacks will be tried according to the Canadian justice system. Any terrorist who has not yet crossed the border will be tried according to the American federal justice system for his vile crimes. In addition, Great Britain commits to offering funding and supporting reform of the Canadian law enforcement system, to better prevent and protect against such occurrences in future. Queen Victoria has indicated her assent for her patronage of a new, merged and enlarged law enforcement organisation for Canada, the Royal Canadian Mounted Police. This organisation will presumably, in future, co-operate with the US federal law enforcement to ensure that the border is no way for any criminal to hide or escape in either direction. It is understandable that these terrorist attacks have caused alarm and worry on both sides of the border. Great Britain hopes, however, that strong and decisive action, in unity with our blood-brothers in the United States, can swiftly bring this criminal conduct to an end. The United States would agree to this as a proposal so long as Canada does the same. Russia welcomes the apparent resolving of this dispute in North America. The globe is subject to enough wars and conflicts at the moment, without another continent suffering also. Not to put down our gallant Canadian brothers in Empire, but to make things clear, both to the government and people of the United States and the world: Canada has no standing military, and operates a defensive-only militia system, without offensive capability or logistics, much like the citizens' militia of early independent United States in the late 18th century. As such, the US comments about the 'Canadian armed forces', as if there were any sort of force that would be able to invade the United States in any sense even if they chose to, are a serious misapprehension by our American friends, and one that is highly important to correct. Understandably, the 5.3 million Canadians are deeply concerned at the unexpected, unfathomable prospect of hostilities with 76 million Americans. The US Goverment feeling threatened by Canada - even if Canada had, for some reason we cannot fathom, adopted a self-defeating, rogue foreign policy, without support from their mother country, and begun preparations for a suicidal invasion of the United States - is akin to an elephant being terrified of a mouse. Even if, perhaps, that mouse's squeaks of terror in being attacked by an Anarchist cat, magnified by distance and confusion, could have come to resemble the roar of a lion, it is necessary to clarify that the mouse is merely a mouse, however brave, gallant and admirable a mouse. We have been told that to say so is to 'brush off' American concerns, but Great Britain has spoken facts, and nothing but facts, on this matter - and if this leads to the supposed threat being brushed off as insignificant - for it is no threat at all - then this is entirely the truthful and accurate response to the information. Nevertheless, we are aware of the principles at stake in the Rush-Bagot Treaty, hence our own proposal for a treaty to solve the Fenian terrorism issues in a peaceful and reasonable manner, and for the withdrawal of those armed citizens to positions that will not cause tension. Likewise, we are heartened by the United States' acceptance of those terms, and hope that it shall set a fine example of co-operation against the agents of evil in future. But let none be under the illusion that there is some cause for a reciprocal military response, or led to believe that any escalation of tension is due to any fantastical threat that the local militiamen, protecting their homes, pose to the United States. Nevertheless, we urge the Prime Minister of Canada and his Cabinet to confirm their agreement to the proposed terms as soon as practicable, so that the proposals included in the treaty to bring this unfortunate situation to an end can be implemented as soon as possible.